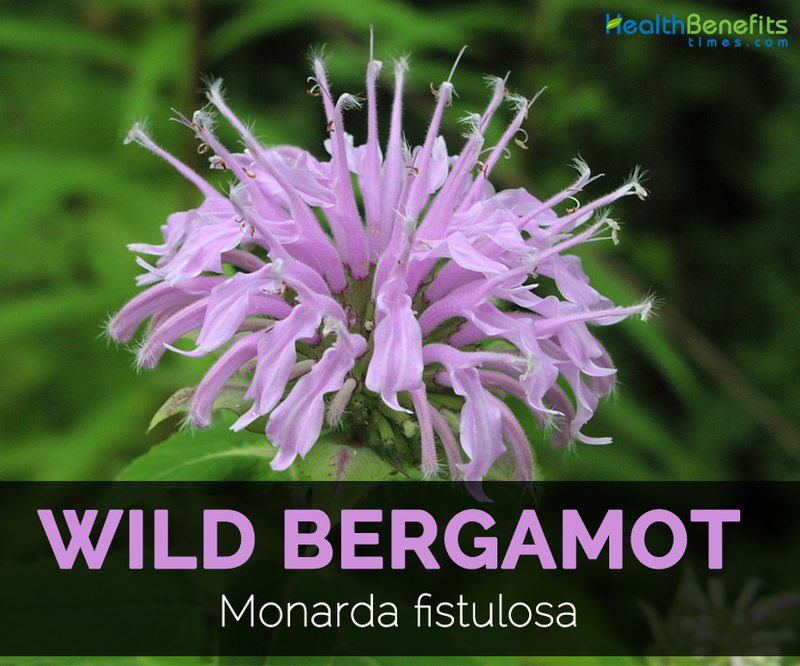 Wild Bergamot scientifically known as Monarda fistulosa is a wild flower belonging to mint family Lamiaceae. It is native plant in North America. The plant blooms pink to lavender summer blooming flowers and used often as medicinal plant, honey plant and garden ornamental. It is a perennial native plant in mint family which grows 24 to 36 inches tall. Leaves are oppositely arranged on square stems and are slightly toothed and hairy. Flowers are showy having individual pink blossoms emanating from center seed head. Its spicy fragrance is identical to cultivated oregano. Wild bergamot is an herbaceous perennial which grows from slender creeping rhizomes and occurs commonly in large clumps. Typically plants reaches 24 to 36 inches tall having few erect branches. The square stems have opposite leaves which are smooth or toothed. Leaves are lance-shaped, 2-3 in (5-8 cm) long and toothed. The flower clusters are solitary at ends of branches. Each cluster measures 1.5 inches long which contains 20 to 50 flowers. Flowers are rose to purple in color and is tubular. It grows in rich soils in thickets, dry fields and clearings usually on limy soil. Generally plants flower from June to September. It ranges from Quebec to Northwest Territories or British Coloumbia, south to Georgia, Arizona, Texas, Idaho and Northeastern Washington. Leaves are coarsely toothed measuring 1 to 4 inches long and 1½ inches wide which is rounded at the leaf base and tapering to a point at tip on leaf stalks measuring 5/8 inch long. Leaves are hairy underneath and smooth or hairy on upper surface. Stem is square, reddish brown color and hairy to varying degrees. The flowers fall away by leaving calyxes behind. Seed forms inside the calyx. Head turn dark brown when the seed ripens. Seed is smooth, oval, brown and 1 millimeter long. Drink 1/2 cup as needed, or use topically as a wound wash.
Take 25 drops as needed. 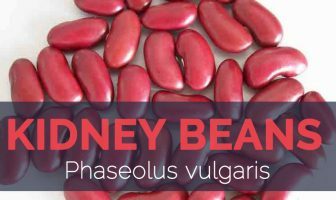 Use it as a tea to stimulate circulation in cold hands and feet. Tea is used as a soothing for fever and chills to induce sweating. Infuse fresh flowers and leaves in honey and apply it as a topical ointment for fungal infections and burns or add it to hot tea or water for soothing sore throat. It blends well with elderflower, catnip, thyme, sage and yarrow for making calming tea. Use it topically as a wash on healing wounds for damp or wet wound conditions for preventing infections caused by antibiotic resistant bacteria. Steam inhalations help to soothe stuck or congested sinuses. Place the leaves in warm water baths for babies. Use wild bergamot in sweat bath and inhale the fumes to cure colds. The decoction made from boiled leaves is used to treat eruptions on face. Boil leaves and flowers to cure abdominal pains. Tea prepared from leaves and blossoms helps to cure stomach pains. Apply the boiled leaves to pustules of acne. Use infusion internally for treating catarrh, colds, aching kidneys, gastric disorders, headaches, soothe sore throats and lower fevers. Apply it as a poultice externally for cuts, skin eruptions and as a wash for sore eyes. Steep flowers and leaves and use it for preparing tea for curing throat infections. For bronchial infections, dry whole plant and boil to extract oil and use it as an aid for bronchial infections. Boil leaves to treat facial infections such as acne and pustules. It is also used to treat gastrointestinal problems such as flatulence, colic and vomiting. People with thyroid problems should use it with attention when consuming bee balm. It should not be used internally by pregnant women. It might cause sensitivity to sun. It should not be used undiluted without testing on small area on skin. Leaves are consumed raw or cooked. The plant is used as a potherb. It is used as a flavoring in salads and cooked foods. Use it as a garnish in salads. Brew dried or fresh leaves into refreshing aromatic tea. Young leaves are used by Native Americans to impart flavor to meat dishes.